YOUR MAGAZINE!ME! YOUR CITYCITY MAGAZINE! e have surely been blessed with an abundance of moisture this past winter. In that vein, I would like to remind everyone that all that snow in the mountain will turn to water and while a lot of it will go into the ground to recharge our aquifer, most will be coming down the hill. I want to encourage each of you to be both vigilant and prepared. Vigilant in keeping children and pets away from the swelling streams. These little creeks can turn deadly very quickly as they are literally ice cold and can become very fast moving. If you live in an area that could possibly flood or has a history of flooding, please prepare yourself. Sandbags are available at the City. Hopefully, Mother Nature will be kind and bring the water down slowly as it warms up gradually, but a sudden heat wave could prove to be very problematic. 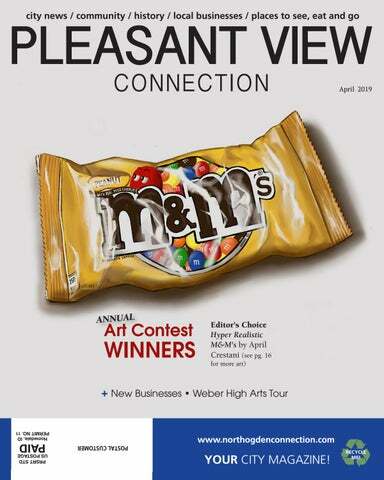 Disclaimer: The paid advertisements contained within the North Ogden Connection and Pleasant View Connection magazines are not endorsed or recommended by Connection Publishing or North Ogden City or Pleasant View City. Therefore, neither party may be held liable for the business practices of these companies. The cities mentioned are also not responsible for any content in the magazines except for that which they directly submit for print. listed on page 16. Thank you to all who shared their art with the community! There is some incredible talent here. 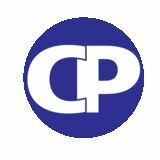 City Council Meetings: Meetings typically held on the 2nd and 4th Tuesday of the month. Some dates will change related to holidays and other conflicts. Check with the city office for exact details. North View Fire Board Meetings: 3rd Tuesday of every month. North View Fire Station-315 E 2550 N North Ogden @ 5:00 P.M.
City Business Spotlight Mrs. Cavanaugh’s Chocolates Marie Cavanaugh was convinced she could raise money for a local project selling chocolates by using her mother’s recipes and with her friends help. She was right! Eventually the Cavanaugh Family moved to Utah and George and Marie opened six locations. Ever wonder how we are so lucky to have one in North Ogden? It’s because Marie, who lived in North Ogden at the time, figured if she craved good chocolates and didn’t want to drive to Bountiful to get them and that everyone else felt the same. Eighteen years ago George and Marie purchased the old Maverik Store, added a drive-through window and a fireplace, and thus began supplying North Ogden with the finest chocolates made. George passed away 3 ½ years ago and Marie now lives in Layton. Our North Ogden store is owned by their daughter Lorraine, who has continued the tradition of truly fine chocolates. Not only do they have a wonderful selection of chocolates and candy and caramel corn (yum! ), they have seasonal favorites like personalized eggs for Easter and chocolate hearts for Valentine’s Day, or caramel apples in the fall, and of course locally-sourced strawberries that are hand-dipped daily in the North Ogden store between Valentine’s Day and Mother’s Day. Household Hazardous Waste Program: The household hazardous waste program at Weber County Transfer Station (867 W Wilson Lane-Ogden) is for all Weber County residents. The program is FREE for household quantities of hazardous waste. Small business owners may be assessed a fee depending on quantities brought in. The hours and months of operation are every 3rd Saturday of the month beginning in April and ending in September. Hours of operation are 8am-1pm. Need to get rid of hazardous waste itmes? Save when you go out on your own with Farmers. At Farmers®, we feel stepping out on your own deserves a reward. That’s why when you move out on your own with Farmers, we reward you with a discount. It’s just another reason to know that Farmers is fully commited to providing excellent value for your insurance dollar. Call me today to find out about all the auto insurance discounts that may be available for you. We believe in smart. Call today to get smarter about your insurance. UNFORTUNATELY OUR WATER HAS BEEN CONTAMINATED WITH PESTICIDES, HERBICIDES, FERTILIZERS, INDUSTRIAL SOLVENTS AND PRESCRIPTION MEDICATION. WARNING: YOUR DRINKING WATER MAY BE DANGEROUS Chemicals, Gasoline, Waste they’re all contaminating the nation’s water supplies far worse than anyone expected. Don’t Just Filter, PURIFY Your Water! SENIOR EVENTS North View Senior Center 485 E. 2550 N. â&#x20AC;¢ North Ogden, Utah 801-782-6211 Lunch: 11:50 AM Mon, Tues, Wed, & Fri. Dinner: 5:00 PM Thurs. (Opens at 1 PM) Seniors over age 60 - $3.00 Seniors under age 60 - $6.00 *Meals include a main dish, fruit, vegetable, and dessert Hours: Mon. Tues. Wed. 8:00 AM-4:30 PM Thurs. 1:00 PM - 7:30 PM Fri. 8:00 AM - 3:00 PM Monday 8:30 Ceramics 10:00 Line Dancing 12:30 Pinochle 2:00 Tap Dancing Tuesday 8:30 Zumba 9:30 Art 10:00 Intermediate Line Dancing 12:30 Weight Lifting (Strength Exercises) 12:30 Mahjong 12:30 Pinochle Wednesday 9:00 Wood Carving 9:00 Bridge 10:00 Line Dancing 12:30 Pinochle Thursday 1:00 Center Opens 1:00 Tap Dancing 5:00 Dinner 5:30 Entertainment Friday 8:30 Zumba 8:30 Ceramics 10:00 Yoga (bring own mat) 12:30 Pinochle April 1 - Haircuts at 11 a.m. April 3 - Cell phone class at 2 p.m. April 20 - Gary Romer - DANCE at 7 p.m. Beginnings: @7:00 p.m., After School Special: Poem in Your Pocket 2:00 p.m April 30: Ebooks at the Library 7:00 p.m.
Not valid with any other offer, must be used on work performed. Sydney Simmons took the theme of kindness to heart. Sydney decided to make t-shirts with “Be Kind” written out in ASL. Granted, part of this was to support her efforts to earn a trip to Disney; however, it goes further than this. She is a person who is always helpful and kind to others, and is often seen including people from various groups and backgrounds. Almost every morning she is signing to the Deaf students and talking with other people, and she exhibits this same inclusive behavior in class. Emma Vore is our amazing Student of the Month! Emma is dedicated and hard-working, intelligent and clever. Her German teacher says, “She’s a leader and strong student in German. She is experienced, and I notice her tutoring other students - and I mean actually tutor. She helps them along without just giving the answers.” Emma enjoys tumbling, reading, cooking and hanging out with friends. Her favorite class is Biology and she plans to become a nurse. Emma’s advice to others: “Be yourself - don’t be fake.” Emma is a wonderful and integral part of our Maria Montessori Academy community, and we are delighted to honor her contributions! Kyle Crezee Orion Junior High School Kyle is a 9th grade student at Orion Jr. High. He enjoys playing the cello in orchestra, participating in this year’s play, The Wizard of Oz, and is helping with the set. Kyle’s favorite class at Orion this year is Play Productions. He is a great leader and participates in a variety of programs: HOPE Squad, Project Lead the Way, and Youth Court. Kyle has kept an impressive 4.0 GPA throughout his junior high experience as well as high citizenship marks. He says the best part about Orion is the teachers. Kyle’s goal is to maintain a 4.0 GPA throughout high school, and he wants to go to college and get a double major in engineering and mathematics. We appreciate Kyle as an awesome person and student and feel lucky to have him at Orion. Congratulations, Kyle! THANK YOU TO THIS MONTH'S SPONSORS: Students of the Month get a $25 gift card from Intermountain Healthcare! Small homes on small lots provide lower cost and a better tax revenue for the city. The homes would also feature smaller front doors in a variety of colors. a design for a drive-in theater specifically for electric scooters. Rather than be a large traditional drive-in for automobiles it would be a much smaller scoot-in. With modern scooters, some of which can carry up to a family of six, the developer, Snideley MacFuddle, has gone on record stating that such an idea will most certainly bring Utah up to speed with more advanced California. The unexpected delays and opposition has caused a fair amount of stress and anxiety for Mr. Macfuddle. This emotional agitation has prompted him to change the name of the project. Rather than the initial name of Pleasant Acres it is now going on the books as Belly Acres. Weighing the benefits and liabilities the city council, with one member on temporary leave, is evenly split on accepting or declining the go ahead. That leaves the mayor to cast the deciding vote. But before this vote could take place Mr. Macfuddle chose to access a seldom used but nevertheless legal procedure in the city’s bylaws. Written generations ago, the city’s charter show down provided an option to for settling city council split votes. The petitioner, in this case, Mr. Macfuddle, may choose to accept a simple yes or no vote from the mayor or at his discretion may challenge the mayor to either a game of HORSE, marbles, (flints only, no steelies) or arm wrestle. So it is. The Show Down by arm wrestle will commence in the city council chamber at high noon, April 1st. HAPPY APRIL FOOLS! When I was a little girl I have vivid memories of my little brother (Aaron) and a silk shirt he wore to church every week. He loved that shirt and called it his Gorgeous George shirt. I’m not sure where he came up with that name but it was hilarious. Learning about the historical silk production that was here in Utah it brought me back to my brother Aaron and his Gorgeous George shirt. Utah pioneers produced 28,000 pounds of cocoons and some silk fabric from 1855 to 1905. The Relief Society from The Church of Jesus Christ of Latter-day Saints was assigned to help pioneer families start a silk production or “sericulture” to help them be more self-sufficient. The worm eggs were kept warm before hatching by being carried in a pouch around the neck of the women. They were raised and fed in people’s homes and attics. Hundreds of mulberry trees were planted in the area to feed the silkworms. Children of these families had the job of gathering the mulberry leaves to feed the growing worms at 6am, noon and 6pm each day. Once the worms had spun a cocoon, they were harvested, boiled, dried for two months, and then washed to remove the “glue” that sealed the cocoon. The silk was then “reeled” by a machine that gathered six lines, pulled them through an eye, and twisted them together. One cocoon had up to 1,000 feet of line. Many beautiful silk dresses were made from the silkworm thread, and an American Flag made of Utah silk was flown at the 1893 Chicago World’s Fair. Utah’s silk production came to an end in 1905 as the ability to import fabrics by railroad became more practical than the time and effort of raising silkworms. It is so cool that families in Utah learned this skill. It shows us that we can do anything if we put our minds to it. Utah pioneers produced 28,000 POUNDS of cocoons and some silk fabric from 1855 to 1905. Itâ&#x20AC;&#x2122;s h ouse hunti n g seaso broth n. er Du stin c My you fi a Use th nd the gol n help de e as yo equity in y n egg. our h ur do upgra wn paymen ome de! ta what Call to se nd e is pos sible. Have you heard the latest buzz in the City? Do you know there will be new places to grab food and drinks? What do you know about the construction going on? Some of it means new housing choices, so maybe you’ll want to plan that move you’ve been considering. Curious about some details? Read on! New Places Maybe you like working on cars like the guys in my house. If so, you’ll have another great choice for parts with an O’Reilly Auto Parts store coming soon. It will be directly south of Café Rio, and on its west a road will be constructed that will connect from the road behind Lee’s (300 East) to 2550 North. Take a look at the elevation for this site plan. For those who enjoy coffee, tea, fruit smoothies and gourmet eats, you’ll be pleased to know our town is welcoming another great addition—a Starbucks! Starbucks will be directly north of Subway. If you love roast beef sandwiches or curly fries, you’ll be happy to hear an Arby’s will soon be here! It will be right beside the new Starbucks, to the north. Ice cream, anyone? Cannery Creamery is going in where Great Harvest was. There will be expanded inside seating and outdoor patio seating. Ice cream will be made on location using fresh ingredients. A convenient, new site for Physical Therapy & Sports Medicine will be just north of Watami Sushi. Cherry Spring Villas The groundbreaking that you see on the 18 acres east of the golf course is for a senior living community. There will be a clubhouse and 84 units with six different floor plans ranging from 1,600-2,600 square ft with double-car garages. Majestic View Townhomes Have you wondered what is happening around the Cannery? The two homes that used to be north of the Cannery were built around the turn of the century on two parcels totaling 3.5 acres. Both homes have been vacant for over 10 years and were recently razed. In their place will be 30 3-bedroom, 2.5-bath units with attached garages. Canyon View Senior Living At Washington Boulevard and 1700 North, you see 38 acres being developed for two separate uses. If you have noticed the new construction in the southwest corner, you are looking at the nearly completed assisted living complex being built on eight acres. This center will have 74 assisted living units, 26 independent living units, 22 memory care units, a cafeteria and an exercise center. Village at Prominence Point The Village at Prominence Point (VPP) project will be constructed on the remaining 30 acres adjacent to Canyon View Senior Living. There will be approximately 600 residential units: an assortment of 404 studio, two-story loft, and three-bedroom apartments (some with garages or assigned carports); 107 two-story townhomes with single or double garages; 28 age-restricted cottages with double garages; and, an independent living facility containing 68 units. Amenities will be available to all VPP renters and owners (via HOA fees). There will be two pickleball locations with multiple courts, two clubhouses with a pool and exercise center, playgrounds, and trail systems with built-in workout activities. The developer has worked with the City on design requirements to incorporate quality finishes commensurate with an upscale setting. Construction on the townhomes and apartments will begin this spring. On VPP’s street front, there are five commercial pads for new businesses. One of these businesses will be the Ultimate Express Carwash which will be built on the north end, next to Big O Tires. The other four pads offer nice opportunities for future establishments in our city. Once VPP is completed, there will be many people within walking distance to take advantage of the convenience of shopping or dining. WANT TO KNOW ABOUT POTENTIAL DEVELOPMENTS IN THE FUTURE? Attend one of our City Council or Planning Commission meetings and be a part of your community! What Else? One of the facets of North Ogden’s General Plan is the creation of a walkable downtown along Washington Boulevard. The key to achieving this will be the implementation of form-based code, a requirement that store fronts be placed next to the sidewalk and adequate parking located behind. This design will promote walkability and create a more desirable environment for residents and visitors who want to spend an evening downtown. Accepted at funeral homes across the country! For a limited time, receive a FREE Legacy Safeguard® Membership when receiving a free no obligation quote on your final expense coverage. This membership will help your loved ones when that time comes to make everything smooth and non-stressful. No purchase necessary. for New Clients • Valid ID Required Reg. Varsity: $19; Jr. Varsity (10 & Under) Price: $15. $10 additional charge for long hair and detailed cuts. Not valid with any other offer. Void if bartered, copied, traded or sold. Not valid with any other offer. Void if bartered, copied, traded or sold. Valid only at Valid only at North Ogden, Riverdale, Clinton. Reg. MVP: $Reg. Varsity: $24; Jr. MVP (10 & Under) Price: $20. $10 additional charge for long hair and detailed cuts. Not valid with any other offer. Void if bartered, copied, traded or sold. Not valid with any other offer. Void if bartered, copied, traded or sold. Valid only at North Ogden, Riverdale, Clinton. Life Has Lots of Twists and Turns! A good financial plan keeps you on track. Chris Bauman, owner, loves helping his customer get not just a great haircut but a relaxing and fun experience . All of the Sport Clip stylist go through additional training on top of being a licensed cosmetologist. in an electric massaging chair while having their haircut. Often men fall asleep while having their treatment, it is so relaxing. The environment of the store is sports oriented. Each station has its own TV tuned to sports and the customers can control what they want to watch. It is a very customer centric experience revolving around helping men have a great time and a great hair cut. Chris hands out tons of free haircut coupons because he knows that once people experience their service, they are going to come back. Each of the stylists go through extensive training. Each stylist must be a licensed cosmetologists to start with but then they go through extra training for Sports Clips, they have a training center in Sandy where the stylists go to receive extended training and to continue their learning in the most modern styling and hair cutting techniques. In all, Chris is so glad that he took the leap to start with Sports Clips in 2011. It has been a wonderful experience and says that it is the best decision he has ever made after marrying his wife. Stop by the North Ogden Store if you need a cut and experience a whole new way to have your ears lowered. Grand Drawing Volbella R Drawings & hors d’oeuvres Gift for attending...be sure to bring a friend! 50% off JuvedermR Ultra Plus (2 available) $30 Express Facials during party - schedule early! Exclusive Party Oﬀer...5 free Botox units per 20 pre-paid Only available day of party, don’t miss out! We match competitors’ prices with a lifetime workmanship warranty! Or request a FREE estimate from our website! Must present or mention this coupon at the time of estimate. Act eliminated dependency exemptions. In past years, there was a deduction ($4,050 in 2017) for each person living in a household. This deduction has been eliminated. passed the Tax Cuts and Jobs Act (The Act). The Act makes sweeping changes to the U.S. tax code and impacts virtually every taxpayer. These changes are now in effect when filing your 2018 individual and business tax returns. Individuals are more impacted by the provisions of the act than any other class of taxpayer. This update is to alert you to some tax changes from tax reform. STANDARD DEDUCTION: The Act doubled the standard deduction for each filing status (Single - $12,000 and Married Filing Jointly - $24,000). These increases may make it more advantageous to take the standard deduction instead of itemized deductions. DEPRECIATION: The Act changed the requirements for an asset to be eligible for bonus depreciation. Certain new or used assets (including equipment, furniture, livestock, and some vehicles) acquired in 2018 are eligible for bonus depreciation. Bonus depreciation allows for the entire purchase price of the asset to be deducted in 2018. At Pinnacle Accountancy Group of Utah, we strive to put our clients in the best position possible to pay the least amount of taxes. We offer free consultations to new clients to go over previous filed returns and discuss their current tax situation. If you have general tax questions or questions on how tax reform may impact you or your business, feel free to give us a call to set-up an appointment. 4 Things to Consider When Finishing a Basement your basement is ready for a makeover. Finishing your basement is a big project. Make sure you have a detailed plan before you start. The first and one of the most important tests before finishing your basement is a moisture test. You need to make sure your basement is dry before closing in walls and potentially opening up a mold problem. DIY humidity sensors are available to check the humidity level in your basement. Experts suggest humidity below 50% to inhibit mold growth. A PLAN. Before you start construction, whether as a DIYer or hiring a contractor, have a plan for what you want the final product to look like. Drawing out a plan can help identify specific areas that may need addressing ahead of time and allow for a smoother process. A well-done basement can become the goto space in a home. If you are unsure about taking on these tasks alone, it is always a good idea to consult a professional. trusts provide protection for executors who are unfamiliar with federal and state firearm laws. An executor who is trying to pass your guns to your heirs can accidentally commit a Attorney Garrett T. Smith felony by transferring to a prohibited person. A gun trust has specific instructions to ensure that the successor trustee is aware of the laws and transfers legally. Gun trusts can also help your nonrestricted firearms pass to your heirs privately and limit liability toward the rest of your family trust assets. This is a complicated area of law and I can help you navigate the complexities while ensuring that you retain as much privacy as possible and limit criminal liability for your loved ones. Feeling Stuck in Your Car Loan? While some bills can’t be changed, with a little legwork, other bills can and make a big difference in your monthly payment. Refinancing your vehicle loan can lead to a lower monthly payment, a shorter payment term, or both! Here are three common life changes that may mean it’s a good time to refinance your vehicle. 1. YOUR CREDIT RATING IMPROVES The biggest factor in determining your auto loan status is your credit score. When your lender builds a loan package, they pull a credit report as a central part of that process. That number determines your interest rate, whether you’ll pay an insurance premium, and what other fees your lender might charge. Keep a copy of the documents your lender pulled. This way you see if your credit score has improved. Just nine months of steady repayment can boost your credit score, resulting in a less costly loan. If you didn’t have much credit history when you purchased, refinancing can do you a world of good. Interest rates as high as 18% are common for new borrowers. Just a few months of solid payments may cut that rate in half. 2. YOU DIDN’T SHOP AROUND INITIALLY Many people feel railroaded throughout the car-buying process. They choose a car, and then are told the price, the monthly payment and everything else. Dealers usually have a smaller range of lenders with whom they exclusively work. Those lenders have limited exposure to competition, so they can charge higher fees and rates. Do your own comparison shopping and look into preapprovals. Dealer rates can be 1 to 1.5% higher than those offered at smaller lenders, like credit unions. your car faster. If money is tight, consider refinancing for a longer term. Although you’ll pay more in interest, you’ll reduce your monthly payment and save the money you need now. You may also be able to reduce the monthly payment if your credit score has improved, interest rates have dropped or if you’re getting a better rate from another lender. These soft and gooey cookie and marshmallow bars are as irresistible to eat as they are to look at! A simple, storebought sugar cookie dough becomes a festive and fun Easter treat when topped with a layer of lemon-flavored homemade marshmallow. Easy enough for the kids to make and pretty enough to grace your Easter table, you’ll have a hoppin’ dessert even the Easter Bunny will approve of. Makes 24 bars Cooking Spray 1 16.5 oz. tube refrigerated sugar cookie dough 1 C. water 1 three ounce package lemon flavored gelatin dessert 2/3 C. sugar 1/4 C. light corn syrup 1/4 tsp. salt 6 drops yellow food coloring 2 Tbls. pastel sprinkles Preheat oven to 350 degrees. Spray a 9x13 inch pan with cooking spray, line with parchment that is cut large enough to hang over the sides of the pan. Spray parchment thoroughly with cooking spray. Press sugar cookie dough evenly into the bottom of the pan and bake for 16 to 18 minutes, until set. Allow cookie to cool completely. In a medium saucepan, bring water to a simmer. Add the package of flavored gelatin dessert and stir over heat until dissolved. Add sugar and stir again to dissolve. Remove mixture from heat and stir in corn syrup and salt. Refrigerate mixture for 20 minutes, just until it’s barely still warm to the touch. Then, pour into the bowl of a stand mixer or mixing bowl and beat with whisk attachment for 6-10 minutes until opaque and fluffy. The gelatin will become a very pale yellow once it’s turned to marshmallow, so add food coloring and mix on low until it’s the shade of yellow you like. Spread the marshmallow mixture evenly over the cooled cookie. Use a spatula to get it as smooth as possible, then scatter the sprinkles over the surface. Refrigerate for at least 2 hours to allow marshmallow to set up. When ready to serve, lift bars out of the pan by the parchment. Cut into 24 squares with a sharp knife. Serves 4 1 1/2 pounds pork tenderloin medallions 1 15 oz. can sliced pineapple rings in juice 2 small heads of cauliflower, stemmed and cut into florets 1/4 C. avocado or olive oil, divided 2 tsp. minced garlic 2 tsp. salt, divided 1 tsp. pepper, divided 1 bunch fresh cilantro 1 C. bottled teriyaki sauce 1/2 red onion, sliced thin 4 scallions, sliced 2 limes, halved 2 tsp. sesame seeds Place pork into a gallon sized zip top bag and pour in pineapple juice. Seal and refrigerate for 30 minutes to marinate. To make cauliflower rice, place florets into a food processor and pulse until they are chopped fine. Place cauliflower onto a clean kitchen towel, twist towel around cauliflower to squeeze out excess water. Set a skillet over medium high heat and add 2 tablespoons of the oil, the garlic, cauliflower rice, and half the salt and pepper. Press down with a spatula and cook on one side for 3-4 minutes until slightly brown. Turn cauliflower with a spatula and brown on the other side. Set aside and keep warm. Heat a grill or grill pan to medium high heat. Brush with the remaining oil. Remove pork from marinade and sprinkle both sides with remaining salt and pepper. Grill 4 to 5 minutes per side until pork is barely pink in the middle. Remove from heat and brush generously with teriyaki sauce. Place pineapple rings onto the grill for 1-2 minutes per side until grill marks develop. To assemble bowls, divide cauliflower rice amongst four large bowls. Top with grilled pork and pineapple, the remaining cilantro, red onion, scallions, and 1/2 of a lime. Drizzle on any remaining teriyaki sauce. Sprinkle with sesame seeds before serving. Sometimes your food destination can bring you to a place that is unique and totally unexpected. An urban adventure! From the curb, Bombay Grill has an eclectic vibe to its location on Washington Boulevard in Ogden. It’s a type of place that makes you ask, what exactly is in there? When Jaspal Singh opened his establishment in 2007, he chose this location after having noticed few quality Indian / Pakistani restaurants, if any, north of Salt Lake City at the time. He had successfully operated other restaurants in other states and looked forward to offering authentic, quality food in Ogden. Myself, my wife and our close knit group of friends from Ogden High School all discovered Bombay Grill shortly after Jaspal opened for business. What a great find it has been for us! down. Whether you go for hot or mild, the flavors have always been consistent and excellent. At the end of your meal, Jaspal or his wife can make Above: Lamb up scrumptious Mango Do Pijayma Kulfi (a homemade ice cream) or Gulabjaman, my daughter’s favorite (a deep fried pastry and homemade cheese, topped with a sweet syrup). Bombay Grill has been a treasure for me, my friends and my family and for many others in Ogden and Weber County. With Jaspal and his family and staff, you are a stranger but once. There you will find more than just a new place to eat great food. You’ll find a new destination, totally unexpected, which you will indeed want to return to again. CHICKEN TIKKA MASALA Chicken Tikka cooked in fresh tomato sauce and simmered in masala sauce. GREAT RATES! Feature your restaurant here! Want to reach over 10,000 homes EVERY month? Call Ryan at (801)721-3762 to reserve your spot today! Amazing Vehicles. Straightforward Prices with No Tricks or Gimmicks.